We at Satellite Standard Group like to keep you informed. It was with this in mind that we contacted the folks at SiriusCharts and asked them if they would be willing to participate on our site with some charting analysis on the sector. They were kind enough to accept, and were even more kind by looking into XMSR as well as Sirius for us. 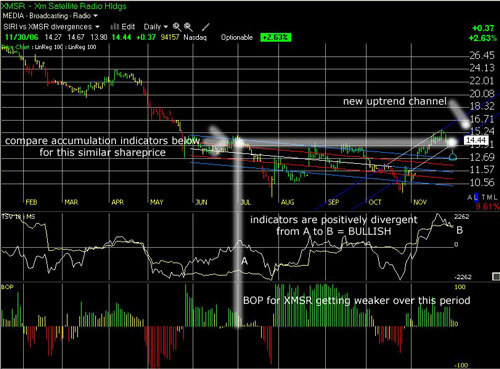 It is our hope to add a regular series on the charting trader, as well as a series on the technical trader. Because we feel it is important that you get varied opinion, we are seeking out individuals who might be interested in working with SSG on a technical outlook for SIRI and XMSR. If you are interested, please send an e-mail to satellitestandard@gmail.com . At the request of Satellite Standard Group (SSG), SiriusCharts has been requested to compare the charts of SIRI and XMSR, and asked if XMSR has broken the previous downtrend like Sirius has. We found that the charts of each company are very similar, and both have positive indicators that bode well for more upside probability in their respective share prices. XMSR did indeed break out of the previous downtrend, and both companies are now comfortably in the new uptrend channels shown in the charts below (Click to enlarge). Also shown are the previous downtrends defined by the red and blue regression channels. The breakouts are obvious when presented graphically in this fashion, because it is easy to see where they break out of the respective downtrend regression channels. The timeframes are extended by a few months, so the user can compare the correlation of the indicators to previous share prices, and thus observe the positive character the indicators possess at this time. 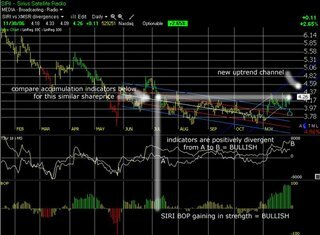 The only obvious difference in the charts is that the Balance of Power Indicator (BOP) is getting weaker in the last few months for XMSR, while the same indicator is getting stronger for SIRI. At this time, we don’t think that is too significant, and think both companies appear poised for more gains. 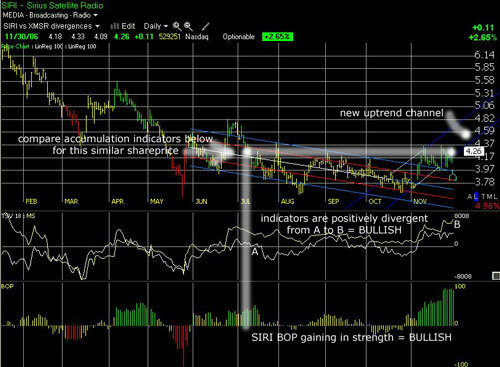 For more information on what the indicators mean, more graphic examples and charts, and more dialogue on the subject, please visit http://www.siriuscharts.com/. There you have it. The Stern Effect is like The Force of radio. Sirius Satellite Radio Inc. doesn't rely wholly on Howard Stern, even though an estimated half of its 6 million listeners tune into the raunchy talk show personality, Chief Executive Officer Mel Karmazin said on Thursday. Asked what would happen if Sirius lost Stern, Karmazin said the second-biggest satellite radio company has plenty of other programs, including a soon-to-be-launched 24-hour Catholic Church channel, a popular Martha Stewart show and a plethora of sports, news and other programs. "How are we reliant (on Stern)?" Karmazin said at the Reuters Media Summit in New York. "I don't think we're reliant in any shape or form. We have 135 channels." Still, Karmazin said demand for Stern is driving listeners to Sirius, which signed its first subscriber in 2002. The company expects to generate $1 billion in revenue next year and have 6.3 million subscribers by the end of 2006. "There are a lot of people who like Howard and they tune in to Sirius," Karmazin said. But he also estimated that half of Sirius' customers do not tune into the controversial radio host, saying "There are many, many people who don't like Howard and they never touch the Howard Stern channel." Sirius, which lags rival XM Satellite Radio Holdings Inc. in subscribers but continues to grow in an expanding satellite radio market, lured the top-rated shock jock from CBS Radio in 2004 after Stern's multiple brushes with federal decency standards. In order to gain Stern's services, Sirius agreed to pay him about $500 million over five years. The contract was negotiated before Karmazin's time at Sirius. "He gets paid a lot of money, just like I paid a lot of money for lots of talent over the years," said Karmazin. "I wish you could get the talent for less money. That would be really cool. But you just can't get it." Sirius Satellite Radio Inc. Chief Executive Mel Karmazin said on Thursday that holiday sales were strong, but might fall short of last year's record new subscriptions that came before shock jock Howard Stern's move to the company's lineup from terrestrial radio. "Business is very strong, very good," Karmazin told the Reuters Media Summit in New York. But he added: "We have a very difficult comparison this fourth quarter." Karmazin said that during the last holiday season, Sirius signed up about 500,000 subscribers in just 10 days, a phenomenon dubbed the "Stern" effect. Stern's channels on Sirius officially launched in mid-January. Sirius, No. 2 in the nascent pay radio market to rival XM Satellite Radio Holdings Inc. , signed up 1.1 million subscribers overall during last year's fourth quarter. For all you nay sayers, these presentations should clear up any doubts on earnings/subscriber expectations. SIRIUS Satellite Radio (SIRI ) today announced that Mel Karmazin, Chief Executive Officer, is expected to participate in a keynote lunch discussion at the Credit Suisse Media Week Conference in New York, NY on Wednesday, December 6, 2006 at approximately 12:30 PM ET. A live audio webcast of the keynote discussion will be available via the Investor Relations section of the Company's website sirius.com on Wednesday, December 6, 2006, at approximately 12:30 PM ET. SIRIUS Satellite Radio(Nasdaq: SIRI) today announced that David Frear, Executive Vice President andChief Financial Officer, is expected to present at the UBS Global Media &Communications Conference in New York, NY on Wednesday, December 6, 2006 at11:00 AM ET. A live audio webcast of the presentation will be available via theInvestor Relations section of the Company's website sirius.com on Wednesday,December 6, 2006 at 11:00 AM ET. When is SatRad going to get it? Apple did, and today, they publicly announced their patent for an iPod cell phone. 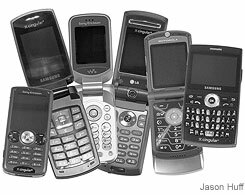 XMSR (Cingular and Alltel) and SIRI (Sprint) get lost in the plethora of music options offered by carriers. SatRad needs a solution that highlights, not hides their services. 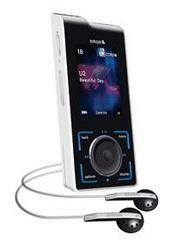 Individually, cellphones and music players have been among the most favored Christmas gifts for years. For many holiday shoppers, this may be the season that they merge. Wireless carriers are offering a huge array of gadgets that combine both functions, with a variety of shapes and sizes and growing music libraries. The new dual-function handsets are often low-priced, and sometimes free, with a two-year service contract. I like the Soloist, so much that I decided to buy the demo. The sound quality is adequate, short of Bose, but at a fraction of the cost. I found it to be incredibly useful for recording while sitting at my desk, especially when combined with the www.dogstarradio.com webpage which continually updates the Sirius programming. The remote control makes it easy to jump from channel to channel, which is especially useful for recording. I trialed this unit with the Stiletto, which has a buffer feature allowing users to record complete songs. Alternatively, if you like to jump around, the dogstar list highlights that programming just beginning in yellow. The unit comes with an antenna. Reception in my location is excellent and placement near a window was not necessary. The Soloist is good looking, sleek and unobtrusive, camouflaged by the laptop screens on my desk. In summary, the Soloist is convenient for destop listening and recording, but don't expect the sound quality to overwhelm. 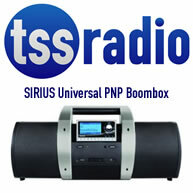 My thanks to www.tss-radio.com for providing this unit. In a flash note that has not yet been picked up by the Forbes.coms of the world, BOA analyst J. Jacoby comments on the likelihood of a merger between Sirius and XM. There does not appear to be a consensus yet on whether the FCC likely would approve an XMSR/SIRI merger - the probability of success seems higher than we previously had thought. A lawyer in attendance at the meeting with extensive experience regarding FCC matters expressed the opposite view - he believes that such amerger would get the necessary three votes as satellite radio likely would be viewed as just one piece of a broader market for the distribution of music. But he also acknowledged that approval becomes slightly more difficult with aDemocratic controlled Congress and even more difficult with a Democratic WhiteHouse. Our view - the upcoming 2008 presidential election could pressure Sirius and XM to reach a potential merger agreement within the next twelve months IF there is mutual interest (given the time required to obtain the necessaryregulatory approvals). Interestingly, a failure to achieve positive FCF in 07 ultimately could benefit both companies if it makes a merger more palatable to regulators. However, we believe that XM could be resistant given that its enterprise value remains roughly 20% smaller that Sirius\ despite a stronger position in the increasingly important OEM channel (i.e., XM might see itself as the acquirer ) and the NAB likely would lobby heavily against a combo. Honda to install XM Satellite radio in 650,000 cars. The move increases XM penetration by about 18% over the 2006 model year which saw installations of about 550,000 XM radios. Installation penetration is a key metric that investors should be considering when looking at the OEM picture. NEW YORK (Reuters) - American Honda Motor Co., a unit of Japanese carmaker Honda Motor Co. Ltd. will install XM Satellite Radio in more than 650,000 of its 2007 model year vehicles, XM said on Thursday. Washington-based XM, the leading satellite radio provider with 7 million subscribers, said Honda produced more than 550,000 vehicles in model year 2006 with the XM system. On Nov. 26, we posted a research blurb by Pacific Crest indicating weak retail trends for SIRI and positive trends for XMSR. In Barrons, Eric Savitz points out that they surveyed ONLY 20 Best Buy and Circuit City stores! How in accurate could that be?! Seems pretty sophmoric to me, and certainly not worthy of a research note. Bartley says his checks of retail stores and online retailers increase his concern that fourth quarter expectations for Sirius are “too high.” Sirius has guided to 1.18 million net subscriber addition in the quarter, versus 1.14 million a year ago; his own estimate is for 1.06 million. General Motors Corp. (GM) Chief Executive Rick Wagoner said Wednesday that the U.S. needs to reduce dependence on foreign energy and insisted the No. 1 auto maker is accelerating its efforts to meet the challenge by being the first to offer a plug-in hybrid and by expanding its production of biofuel vehicles. Wagoner said GM is using the Saturn Vue hybrid sport utility vehicle to develop a plug-in hybrid, which can be re-charged from a standard electrical outlet, and will offer biofuel-capable Hummer SUVs. He said "energy and environmental leadership" is a key part of GM's ongoing turnaround plan. The Saturn Vue also will have a front-wheel drive version that will increase fuel efficiency. A special preview of Sirius Satellite Radio's new NASCAR talkshow "Tony Stewart Live" will be broadcast tomorrow November 30th from 6-8 pm ET, on Sirius NASCAR Radio (ch 128). Stewart and his co-host Matt Yocum will be broadcasting live from SIRIUS’ New York Studios during NASCAR Champions Week.Tony will welcome special guests, take some calls and cover the spectrum of motorsports - from NASCAR to open-wheel racing and beyond. The regular weekly, live two-hour radio show debuts in January. Listen to a preview of "Tony Stewart Live" (WAV). 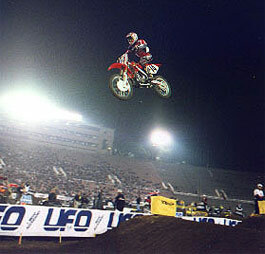 XM Satellite Radio will broadcast each of the 17 races from the 2006-2007 Amp'd Mobile World Supercross GP and Amp'd Mobile AMA Supercross Serie on XM Sports Nation (ch 143). Also, XM Sports Nation will provide news from each race on "XMSN This Morning with TJ Rives," featuring riders and industry insiders.This is the fifth year of the relationship between Amp’d Mobile Supercross and XM Satellite Radio Radio. This year XM Sports Nation is providing an extra hour of coverage for each race, broadcasting live each Saturday during the season from 5pm-8pm 11pm-2am ET. For some reason, Bridge Ratings feels the need to fall back on Jacoby's report. I thought they were an independent research firm...!!! The Thanksgiving weekend was good to many retail shopping sectors improving most above 5% sales improvement over2005 - especially electronic equipment such as big screen TV's, gaming consoles and digital cameras. Satellite radio was notamong those items that caught fire over the long holiday retail sales weekend. NEW YORK, Nov. 29 /PRNewswire-FirstCall/ -- SIRIUS Satellite Radio (Nasdaq: SIRI) announced today that it will present unprecedented live radio coverage of NASCAR races starting in 2007, making listeners feel like they are on top of their favorite team's pit box on race day. In addition to the live race broadcast, SIRIUS will take fans into the cars and pits by devoting up to 10 additional "Team Talk" channels that will carry the driver-to-crew communications of up to 10 different race teams during NASCAR NEXTEL Cup Series races. SIRIUS will combine the race broadcast with the driver-to-crew chatter on these channels, allowing fans to follow the overall race call and the in-car audio of a driver on a single channel throughout the race. 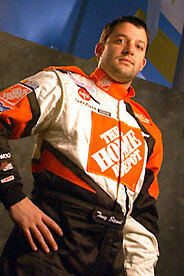 The channels will feature top drivers based on the NASCAR NEXTEL Cup Series standings. The lineup of drivers and their channel assignments will be available at www.sirius.com/nascar prior to each race. Listeners will hear drivers and crew chiefs schedule pit stops and discuss strategy over audio of the overall race broadcast. When the team members are not on the radio the audio of the live race broadcast will come up allowing listeners to follow the entire race uninterrupted. "SIRIUS will provide NASCAR fans with a true insider's experience on race day, taking them inside the helmets of the drivers and making them feel like a member of the pit crew," said Scott Greenstein, SIRIUS' President, Entertainment and Sports. "By layering the driver chatter over the race broadcast and alternating between the two, we'll provide a way to follow the race like never before. Fans can stay on a single channel for the entire race and get inside the car while being able through their SIRIUS radio to follow all the action on the track." "NASCAR eagerly awaits SIRIUS' 2007 NASCAR Radio launch for programming just like this," said Paul Brooks, Senior Vice President of NASCAR and President of NASCAR Digital Entertainment. "SIRIUS will provide coverage of every one of our national series races and will also add exciting, unique channels and programming like these driver channels. NASCAR is committed to setting standards for putting fans inside our drivers' cars, so they can better appreciate the strategy, drama and thrills of NASCAR racing. This will allow avid fans to experience the sport in a new way, while helping to attract new fans as well." As the Official Satellite Radio Partner of NASCAR starting in 2007, SIRIUS will broadcast every NASCAR NEXTEL Cup Series, NASCAR Busch Series and NASCAR Craftsman Truck Series race, carrying the live broadcasts of Motor Racing Network (MRN), Performance Racing Network (PRN) and the IMS Radio Network's broadcast from Indianapolis Motor Speedway. In addition to live race coverage, SIRIUS will launch SIRIUS NASCAR Radio/channel 128 in January. The channel will air 24 hours a day, seven days a week and will include live races, plus daily and weekly talk programs, including Tony Stewart Live, a two-hour show hosted by the two-time NASCAR NEXTEL Cup Series champion and veteran pit road reporter Matt Yocum. A detailed schedule of programs and hosts on SIRIUS NASCAR Radio will be announced prior to launch. Satellite Video: Where would the content come from? Satellite Video, or Satellite Radio Video, or SVOD (Subscription Video On Demand), or whatever the heck it would be called. It's something that's been talked about by both Sirius and XM for quite some time now. Sirius has brought up a video service since early 2004. Along the way Sirius has said that their mobile in-car video services would provide children's content in a live format, and would be available by the second half of this year as part of their OEM offering. We even know that Sirius plans to use Microsoft's Windows Media Player 9. XM demonstrated their own in-car satellite video at CES last year, and even went so far as to demonstrate a live wearable video player to analysts in the beginning of this year. XM has partnered with On2 to provide their video compression technology. The efforts even extend into Canada where XM Canada and Sirius Canada both talked up satellite video with an expected release for late-2006. Is Jacoby Considering The Big Picture? Investors in Sirius seem to be a bit timid regarding this equity. Reports of a weaker retail segment from analysts such as Jacoby weigh on the minds of investors when the look at Sirius meeting guidance of 1,200,000 NET subscriber additions here in Q4. Investors look at last years 1,100,000 number, and wonder how that can be beat. Here are some factors to consider. One wonders whether or not Jacoby has taken all of this into consideration (remember he is expecting Sirius to miss last years retail number by 10%). In order to look at this properly, we should consider last years Q4 numbers. In quick numbers, Jacoby is expecting 90,000 less retail this year than last year. Interestingly, last year had a huge Howard Stern push, as his show was moving to Sirius. This makes it hard to comprehend Jacoby’s thought process. Does he think Stern not a factor last year, or does he believe that Sterns pull power is nearly as big as last year? Does he believe that NASCAR will be a big push? He mentions none of this in his report. In 2005 the OEM channel for Sirius did not include a robust Ford program. This year, Ford is participating in a bigger way. Last year, DCX was at a 30% penetration rate. DCX has bumped that up to 40% for the 2007 model year (cars being manufactured and sold now). The OEM channel should see growth over last year even when considering churn. Interestingly, Jacoby feels that there is a shift from retail to OEM, but he does not acknowledge the shift that has already started at Sirius. Is DCX increasing penetration by 10 points not a factor? Does a bigger commitment by Ford not get any credit? Something is awry here. This past month (NPD October) retail sales weakened for the first time. As many are aware, NPD does not include Wal Mart. 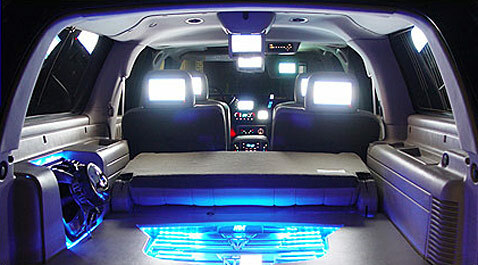 In January of this year, Wal Mart stated goals of increasing their penetration into the satellite radio market. A satellite radio sale at Wal Mart would in effect take away from a sale at an NPD covered store. Thus, NPD numbers could potentially look worse while sales are actually the same, or rising due to non-npd stores grabbing a bigger share.. There are many on-line retailers that do not get counted as well. Sirius is much more active in selling radios this year. These sales are not reflected in the brick and mortar channel checks, nor in NPD. The rise in Sirius direct sales has been obvious, even when looking at NPD. The actual reported retail share favored Sirius by a number greater than the NPD percentages. Sirius’ family plan is likely in the 14.5% of the subscriber base neighborhood. Rival XM is in the 21% neighborhood. Sirius is now far more aggressive in marketing the friends and family plan this year. Raising the friends and family percentage to even 17.5% would mean over 200,000 additional subscribers. This in and of itself is more than enough to offset a drop of 90,000 units in the retail channel. 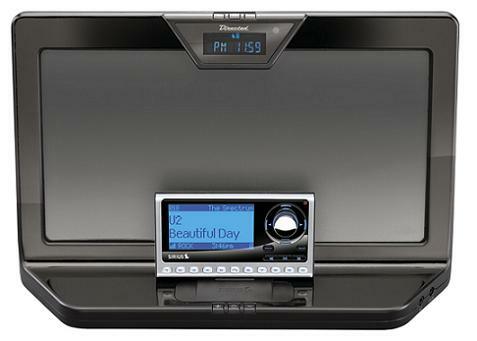 Sirius has now launched the premium internet radio service. The 128 kbs offers CD like quality that many other services do not offer. This is available on a global basis, and was the subject of a successful campaign in October. This is another new source for subscribers that Sirius did not have last year. Sirus’ business arm has been going gang-busters this summer and fall. Many deals have been made, and installations will likely spill over into Q4 as well as Q1. While this service was available last year, it was not marketed to the extent that it has been this year. Simply stated, one has to ask whether these factors will offset a theoretical 10% drop at retail and churn of 300,000 vs. last years churn of about 200,000. The wild card Sirius has is the friends and family plan. They can stoke up the marketing effort if they need to, and can be pretty aggressive about it. This gives them some flex in how they approach the goal of 6.3 million. While it may seem a tall order, 1,2 million is attainable with help from various avenues that simply were not available last year. Satellite Radio Sales Suffering: More Fuel for the Sirius-XMSR Merger Fire? Ant & Sons submits: In a Smart Money article set to be released in the magazine's December 1 issue, author Dyan Machan sheds some light on the possibility of Sirius Satellite Radio Inc. (SIRI) merging with satellite radio competitor XM Satellite Radio Holdings Inc. (XMSR). According to Machan's interview with Sirius CEO Mel Karmazin, Karmazin says that he would be interested in merging Sirius with XM Satellite Radio. He elaborates by telling Machan that "mergers often lead to creating shareholder value" and that he has "always been open to that." SIRI: (siri) Satellite Radio: Survey suggests weak retail trends for SIRI@PACS - Pac Crest sees risk to SIRI's Q4, and notes their checks indicate positive trends for XMSR. SIRIUS Satellite Radio (SIRI ) today announced that world-renowned psychic medium, bestselling author, and lecturer Mary Occhino will host Angels on Call, a new, live daily call-in talk show. DTV & DISH, the 2 satellite TV providers, have seen their stock prices run this year, just on the "pssibility" of a merger. Will XMSR & SIRI experience the same pattern? The rumors have been heating up, and Mel's comments in the recent Smart Money interview stoked the flames. On Amazon.com's Top 10 selling list for electronics yesterday, seven of the 10 products were digital media players. Nowhere did the Microsoft Corp. or Zune names appear. "That's a pretty good indicator of consumer interest," Michael Gartenberg of industry group Jupiter Research said yesterday, one of the busiest days of the year with online shoppers. Sirius Satellite Radio and XM Satellite Radio are exercising their strengths this quarter hoping subscription growth this year, bolstered by a holiday shopping season, will parlay into a 2007 with some cash flow. XM seems to be honing in on its rapport with automakers while Sirius is pushing for retail subscriptions this holiday season keeping the explosive numbers from last year in mind. Banc of America analyst Jonathan Jacoby likes XM for its firm stake in the auto industry as he forecasts a transition in the satellite radio business, favoring factory installation of the service in cars, opposed to an industry driven by retail sales. He rates the stock a “buy” with a 12-month price target of $17. There is a firmware update for the Stiletto 100 which automatically downloaded when I connected to the Sirius Studio software. I haven't determined what features were added yet, but will post details as soon as possible. Satellite radio operators XM Satellite Radio Holdings Inc. and Sirius Satellite Radio Inc. face a 20 percent decline in fourth-quarter retail sales that is likely to put pressure on their respective stock prices, Bank of America said in a note to investors Monday. B of A Becomes The Official NASCAR Bank; Will NASCAR Put The Pressure On Jacoby? Bank Of America is the official NASCAR bank; NASCAR begins exclusive relationship with Sirius in January; Bank of America is negative on Sirius; Will NASCAR pressure Bank of America? Bank of America Corp. (BAC.N: Quote, Profile, Research) said on Monday it has entered a five-year agreement to become the official bank of Nascar, hoping to attract more customers by linking up with the popular stock-car racing series. The agreement extends Bank of America's growing presence in sports marketing. The No. 2 U.S. bank is already the official bank of Major League Baseball, has had a marketing pact with the PGA tour, and sponsored the 2006 U.S. Winter Olympic team. Terms of the Nascar agreement, which runs from 2007 to 2011, were not disclosed. Merrimack, N.H. – November 27, 2006 – The Consumer Electronics Association (CEA®) announced that Raymarine, Inc., a world leader in marine electronics, has been named an International CES Innovations 2007 Design and Engineering Awards Honoree for the SR100 SIRIUS Satellite Weather Receiver. The award was announced at the International CES New York Press Preview earlier this month. 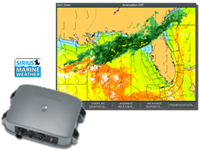 The Raymarine SR100 SIRIUS Satellite Weather Receiver allows Raymarine’s acclaimed E-Series Multifunction Navigation Displays to graphically display up-to-date animated weather forecasts from SIRIUS Satellite Radio’s Marine Weather Service. 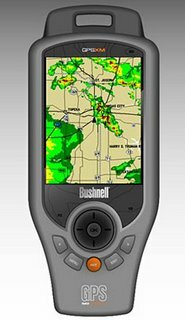 The SR100 provides boaters with a range of advanced forecast information right at their fingertips, including WSI NOWRad® weather radar forecasts, storm tracks, sea surface temperature, wind, surface pressure, wave heights, lightning and much more. Raymarine is the first marine electronics manufacturer to integrate SIRIUS’ satellite weather services into its products. Raymarine’s SR100 SIRIUS Satellite Weather Receiver will be displayed at the 2007 International CES, which runs January 8-11, 2007 in Las Vegas, Nevada. The Innovations Design and Engineering Showcase will feature honorees by product category at Innovations Plus at the Sands Expo and Convention Center, Booth #68747. Raymarine, a world leader in marine electronics, develops and manufactures the most comprehensive range of electronic equipment for the recreational boating and light commercial marine markets. Designed for high performance and ease of use, the award-winning products are available through a global network of dealers and distributors. The Raymarine product lines include radar, navigation aids, instruments, fishfinders, communications, software and systems. For more information about Raymarine call 1-603-881-5200 or visit www.raymarine.com. Abrams is chief creative officer, programming at XM Satellite Radio; this commentary appeared on his personal blog at leeabrams.blogspot.com and is used with permission. Stifel beleives the probability of a SIRI/XMSR merger attempt within the next 18 months (or potentially sooner) is 75%. Their conviction is based mainly on Mel Karmazin's track record and a compelling risk / reward trade off. Firm has dug through the 10ks and rediscovered that Karmazin-led cos conducted over 20 major M&A transactions, totaling nearly $80 bln. Firm believes the probability of an FCC/DOJ merger approval is 55-60%, with market definition as the key variable. 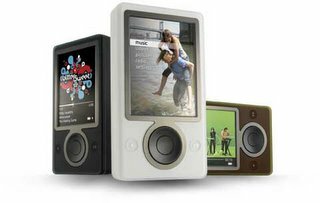 Firm says it really comes down to whether terrestrial radio and to a far lesser extent the iPod are considered as competitors - there are pros and cons to the merits of each. Firm says a successful merger could create $7 bln of shareholder value. Firm raises their tgt on XMSR to $18 from $16. Shoppers started early and splurged on flat-panel TV sets and computers over the long weekend, driving strong electronics sales in what was generally viewed as a solid start to the holiday season. But despite aggressive discounting throughout November and on Black Friday, Wal-Mart Stores Inc. reported its weakest monthly sales in more than 10 years, raising doubts about whether the Christmas cheer will be widely shared. Well, at least Jacoby is consistent (consistently negative!). I might point out a flaw in his information gathering techniques. He focuses on retail buyers...perhaps he should include all channels...stores, online shoppers/retailers, auto manufacturers, etc. Banc of America sees near-term headwinds to XM Satellite (XMSR) and caution on Sirius (SIRI). The firm says their recent channel checks with their buying sources continue to indicate a much weaker 4Q sales environment than last year for satellite radio. Their belief is that checking with retail buyers is a better gauge of demand levels than store-level checks. They are modeling gross retail industry subscribers to decline by ~20% YoY and SIRI to maintain leading share. However, they say SIRI management seems to want investors to focus on a merger scenario; the firm continues to believe that such a deal is unlikely in the near term (given their view of FCC/DOJ, Democratic control of Congress, likely heavy arb pressure on SIRI, and XMSR's view that their Auto OEM strength could command a higher price in the future. A year after satellite radio was switched on in Canada, the country’s two leading satellite radio providers, XM and Sirius, continue to battle for customers, and so far, Sirius is well ahead. The company, which still trails XM in the U.S. market, announced last week that it has built a user base of 200,000 paying subscribers on this side of the border. Compare that to a customer base of just 90,000 commanded by XM Canada. ....In recent weeks programming options and equipment style and benefits have been taking a stronger position as the impetus for the purchase decision with Sirius more consistently being sited for its programming content and equipment as motives for purchase. Black Friday has come and gone. I spent time at several retailers on Black Friday, as well as over the weekend. I noted that the stores were busy, and that the registers were ringing. I also noted that the “HOT” products were the Nintendo Wii, Sony Playstation, and flat panel television of the plasma, or LCD type. This is not to say that satellite radio was not selling. Actually, I noted a nice pace to the movement of SDARS units. What really impressed me though was the level of inventory of satellite radios. They were plentiful at all stores I visited. Both Sirius as well as XM had heaps of radios on store shelves, and in the aisles. As it happens, I found myself visiting a few stores again today. I wanted to get a feel for how sales went. I was pleased to see some empty and thinning shelf space in Circuit City and Best Buy. Last year, there were spot sell-out conditions with SDARS. This year, I have not seen this as yet. Cause for concern? I am not really sure at this point. The inventory I witnessed was at least twice as healthy as last year, so having a variety of units left after the first holiday weekend seems to be fine. The message boards will surely be filled with opinions on how well things are selling. I would say that the best thing to do is to stop into some stores for yourself and ask a few questions. Remember to keep the questions objective, and to not draw any hint or desired conclusion in your answer. Ask questions like, “Which satellite radio is the hottest seller”, or, “which service is most popular”, or, “Out of 10 radios sold how many go to each service”. If you want to get another opinion, swing into the install bays, and ask there. These guys are doing the installs, and are very familiar with which units they are installing. Five weeks left, and then we will know the answers. In a Smart Money article set to be released in the magazine's December 1 issue, author Dyan Machan sheds some light on the possibility of Sirius Satellite Radio Inc. (NASDAQ: SIRI) merging with satellite radio competitor XM Satellite Radio Holdings Inc. (NASDAQ: XMSR). According to Machan's interview with Sirius CEO Mel Karmazin, Karmazin says that he would be interested in merging Sirius with XM Satellite Radio. He elaborates by telling Machan that "mergers often lead to creating shareholder value" and that he has "always been open to that." Yes, Microsoft's new Zune digital music player is just plain dreadful. I've spent a week setting this thing up and using it, and the overall experience is about as pleasant as having an airbag deploy in your face. "Avoid," is my general message. The Zune is a square wheel, a product that's so absurd and so obviously immune to success that it evokes something akin to a sense of pity. The setup process stands among the very worst experiences I've ever had with digital music players. The installer app failed, and an hour into the ordeal, I found myself asking my office goldfish, "Has it really come to this? Am I really about to manually create and install a .dll file?" But there it was, right on the Zune's tech support page. Is this really what parents want to be doing at 4 a.m. on Christmas morning?That might not be Zune's fault. After about a year of operation, it's almost as if a Windows machine develops some sort of antibodies that prevent it from recognizing new hardware. But what's Microsoft's excuse for everything else? Is SatRad Doing Enought To Attract The AARP Demographic? AT 52, Martha Stinson is not quite sure where to turn when it comes to new music. The local Tower Records in Nashville, where Mrs. Stinson is an owner of a general contracting company, is going out of business, and she never did figure out how to load music onto the digital-music player she bought a couple of years ago. But she may soon receive an overture from a source not known for its musical savvy: AARP. She is the kind of consumer that the association is targeting with a sweeping marketing campaign that it hopes will entice millions of new members, as the first kids weaned on rock ’n’ roll turn gray. First things first. Last weeks winner was Robert Callagher. Robert, please send an e-mail to ssgfootballchallenge@gmail.com so we can arrange your $10 gift certificate to TSS Radio. Congratulations Robert!! The SSG Football Challenge sponsors are My Radio Store (an XM retailer) as well as TSS Radio (a Sirius retailer). 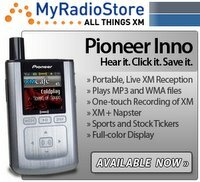 Please feel free to click on their links in this post and check out the deals they are offering on XM and Sirius gear. Can Mel Put Sirius Back on Top? IT'S MONDAY MORNING, and Mel Karmazin bursts into a glass-enclosed conference room on the 36th floor of Sirius Satellite Radio's Rockefeller Center headquarters. He's a minute early. But it doesn't take long for the white-haired, bushy-eyebrowed media mogul to live up to his reputation as one of America's most aggressive and blunt-speaking chief executives. For one thing, he tells us how much he hates being interviewed. And being photographed? Even more so. Despite once running (before being pushed from) Viacom, which was then the parent of CBS, Karmazin tells us he never liked television. Then he drops a little bombshell: Sure, he'd be interested in merging Sirius (SIRI2) with XM Satellite Radio (XMSR3), his archrival and the market leader in the hotly competitive $1.5 billion industry. "Mergers often lead to creating shareholder value," Karmazin says. "I've always been open to that." He'd floated the idea at a trade conference that he'd like to buy XM, but he predicted there would be regulatory hurdles. He no longer thinks regulators would pose a problem. A native New Yorker, Karmazin, 63, is a well-known figure in media circles. Many Americans may remember him as the guy who launched shock-jock Howard Stern on satellite radio. But in two years at Sirius, he's also added everyone from Martha Stewart to Nascar to the station's programming, raising the company's profile in the process. Still, this is an industry facing a lot of static. Once the darling of Wall Street, satellite radio has made headlines for big losses and plummeting share prices. Consumers, it turns out, love their iPods and are sometimes reluctant to renew the $12.95 monthly subscriptions that come with new cars. As Sirius's largest individual shareholder, Karmazin finds himself on the hot seat — and on this day talking (quite bluntly, of course) with senior writer Dyan Machan about his next step. You've got an avalanche of debt and no earnings. Your bonds are rated CCC — in other words, junk. Why in the world should anyone buy your stock? Swedish telecom equipment maker Ericsson and Japan's electronics giant Sony <6758.t> will expand their cooperation beyond cell phones to mobile and broadband TV, an Ericsson official said on Thursday. Per Nordlof, Ericsson's director of product strategy and portfolio management, said the companies will together develop software to link their products through wireless networks. "There is a strong confidence between Ericsson and Sony after the success of the handset business and we will work to develop software that connects the gadgets in the homes with the outer world," he told journalists at a news conference. "We see a mass market for mobile TV within two years," said Nordlof, who defined a mass market as 30 percent of users regularly watching television on their cell phones. Ericsson believes telecom operators will also have to offer television through their broadband networks. Inno Or Stiletto? Which Should You Buy On Black Friday? In chosing, I believe that personal preference for content is the deciding factor. For music selection, both are neck-and-neck; the more significant distinction is sports, talk and news. Subscribers will generally make choices based on loyalty to content offerings, and accordingly, will make the best of each device's strengths and weaknesses. In essence, do you prefer a smart device/PDA phone, or a compact cell phone? If you don't mind carrying a larger device with more features, than the Stiletto is for you. If you go for a compact experience, get the Inno. This technology is constantly evolving, and both XM and Sirius will continue to innovate. Reception: I happen to live in and travel to areas where there is very good repeater coverage, so I got comparable reception on both devices. Since indoor reception is spotty with these portables, I find the Stiletto's Wi-Fi feature quite useful. larger display allows for more song information, presets and content accessibility. Styling: the Inno is unobtrusive, the Stiletto is sleek. Size: the Inno is smaller, however, if you measure the devices side by side, it's the display and integrated antenna that account for most of the difference, so it's a trade-off, size vs. features. Battery performance: With their standard batteries, both are about the same, 5-6 hours of live listening, and significantly more for recorded music. The Stiletto has an includes a 2nd (upgraded) battery, which does make a big difference if you don't mind the extra ounces. Recording Capacity: The Stiletto is about double, 2 GB, and can record up to 10 hrs of individual songs recorded from Sirius channels and 100 hours of other content. The Inno, 1 GB, is about 8 hrs of XM songs, and 50 hrs of content. Compatibility: The Stiletto is compatible with Yahoo music subscription service, and although somewhat redundant, allows you to play thsubscriptionon content. The Inno is integrated with Napster, but you can't play that content. Price: At a suggested retail price of $349, the Stiletto is pricier than the Inno at $249, although prices are coming down for both. In my mind, the extra $100 for the Stiletto is in the Wi-Fi and the extra storage capacity. Whichever you chose, you won't be disappointed...both devices provide an innovative way to listen to the great content that satellite radio has to offer. PARK RIDGE, NJ--(MARKET WIRE)--Nov 22, 2006 -- Hertz, the leader in the leisure and business car rental market, and AAA, North America's largest leisure travel organization, have expanded the exclusive partnership to include more benefits for AAA's 50 million members. Hertz has had a 28-year partnership with AAA offering special discounts and perks to AAA members and for the past 14 years Hertz has been AAA's exclusive car rental partner. The main features of the AAA program with Hertz in the USA and Canada include benefits such as increased discounts; one free child seat; 50 percent off SIRIUS Satellite Radio (NASDAQ:SIRI - News)*; and 25 percent off NeverLost(TM), Hertz' customized on-board navigational system. "The strongest testament to the AAA and Hertz relationship is a thriving partnership that dates back 28 years, and we are very proud that for the last 14 years we've been AAA's exclusive car rental provider," said Mark Frissora, Chief Executive Officer, Hertz Global Holdings. "AAA members receive even greater benefits under our new program with special AAA rates that offer the best overall car rental value available, while our enhanced program provides benefits on the products and services that make travel more convenient and that customers have come to expect from Hertz." "One of AAA's top priorities is to provide the best and most valuable travel benefits to our 50 million members and we are very pleased to enhance our partnership with Hertz to offer even more exclusive benefits," said AAA President and CEO Robert L. Darbelnet. "In addition to special AAA rates, Hertz's free child passenger seats, as well as discounts on satellite radio and its popular NeverLost system, will play an important role in helping AAA to meet the needs of today's sophisticated travelers." In addition to the products and services travelers have come to expect from a car rental company -- 24-hour Emergency Roadside Assistance, Computerized Driving Directions, and one of the youngest fleets in the industry -- Hertz continues to define the car rental industry, offering renters the ability to reserve cars by specific make and model with the Hertz Green Collection, a collection of vehicles with an EPA highway fuel-efficiency rating of 28 miles or more per gallon, the Hertz Prestige Collection, a collection of high-end, luxury vehicles that come equipped with NeverLost, and the sporty Hertz Fun Collection, a collection of convertibles, roadsters and coupes and SUVs all equipped with SIRIUS Satellite Radio. To make reservations or for more information, customers can call their local AAA travel agent, visit AAA.com/hertz, or call Hertz toll-free at 1-800-654-3131. Information and reservations are also available on the web at www.hertz.com. Hertz, the world's largest general use car rental brand, operates from approximately 7,600 locations in 145 countries worldwide. Hertz is the number one airport car rental brand in the U.S. and at 69 major airports in Europe as well as the only car rental company with corporate and licensee locations in cities and airports in Africa, Asia, Australia, Latin America and North America. Product and service initiatives such as Hertz #1 Club Gold, NeverLost customized, onboard navigation systems, SIRIUS Satellite Radio, and unique cars and SUVs offered through the company's Prestige, Fun and Green Collections, set Hertz apart from the competition. NeverLost(TM) is the car rental industry's leading in-car navigation system that is customized to meet travelers' needs while on the road. The user friendly route-guidance system provides turn-by-turn audio and visual driving directions to virtually any destination in the U.S. and Canada and provides voice prompts in seven languages -- English, Dutch, French, German, Italian, Japanese and Spanish. NeverLost's "Full Coverage" map database includes all named roads in the U.S. and detailed coverage of all major metropolitan areas throughout the U.S. and Canada, covering 20 million segments and 4 million miles of navigable roads. The NeverLost Location directory has 1.3 million pre-programmed destinations, including 70,000 hotels, 65,000 gas stations and 470,000 restaurants. NeverLost also features a "AAA Tour Book" with ratings for hotels, restaurants and local attractions; "Travel Assistance" directory with airline phone numbers, radio station guides, and phone numbers for local weather and traffic; "Local Attractions" directory pre-programmed with popular leisure and business destinations; and a "Previous Destinations" directory enabling customers to mark a current location as a routable destination. NeverLost was first introduced in 1995 and is continually upgraded to incorporate the latest technological advancements as well as customer comments about the system. Hertz has more than 50,000 NeverLost units available for rent for an additional charge from more than 400 rental locations throughout North America. Hertz offers SIRIUS Satellite Radio in more than 50 major airport locations in the U.S. and Canada. SIRIUS delivers the best programming in all of radio, including 100% commercial-free music plus world-class sports, news, talk, entertainment, traffic and weather. And, to make getting there easier, SIRIUS 1st Traffic and Weather provides up-to-the minute local traffic and weather reports every 4 minutes. 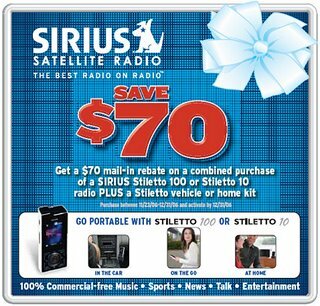 SIRIUS Satellite Radio is available at select locations in the U.S. and Canada for an additional charge. * © 2006 SIRIUS Satellite Radio Inc. "SIRIUS" and the SIRIUS dog logo are registered trademarks of SIRIUS Satellite Radio Inc.
TORONTO – (November 22, 2006) – SIRIUS Canada Inc., Canada’s premiere satellite radio provider with 110 full-time channels, announced today that it has surpassed 200,000 paying subscribers nationwide during its first year of operation. This announcement builds on the company’s previous milestone released on May 10, 2006 which confirmed it had surpassed 100,000 paying subscribers in less than 6-months of operations. Since its launch on December 1, 2005, SIRIUS Canada has maintained its position as Canada’s most popular satellite radio provider with the most extensive programming and advanced satellite radio products in the country. According to the NPD Group, SIRIUS leads the industry in Canada with more than 70 per cent of units sold at retail, year-to-date, within NPD’s measured channels. The Best Programming on Satellite Radio With 110 full-time channels, SIRIUS Canada offers the most Canadian programming available on satellite radio with a total of 11 exclusive English and French channels featuring news, talk, sports and commercial-free music programming, SIRIUS’ Canadian channels are provided by some of the country’s most respected and recognizable broadcasters including Standard Radio, CBC-Radio Canada, Astral Media Radio, The Weather Network and Score Media. Starting in 2007, SIRIUS will become the Official Satellite Radio Partner of NASCAR and will carry every NASCAR NEXTEL Cup Series, NASCAR Busch Series and NASCAR Craftsman Truck Series race, allowing fans to hear the live race call plus driver-to-crew communications. In January, SIRIUS will launch SIRIUS NASCAR Radio / Channel 128, an exclusive channel airing 24 hours a day, seven days a week that will be devoted entirely to NASCAR and offer fans the most in-depth analysis of the sport with breaking news, talk shows and expert analysis. 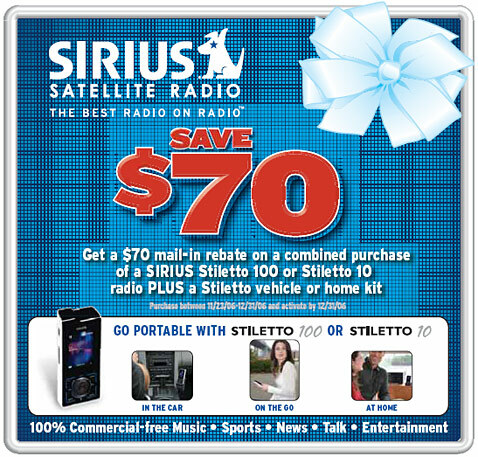 Stiletto 100 - SIRIUS Satellite Radio’s first live portable satellite radio with WiFi capability. With over 100 hours of storage, the Stiletto gives SIRIUS subscribers the flexibility to listen to live satellite radio programming anywhere. New Plug & Play Radios – Introducing the new SIRIUS plug and play lineup including the Sportster 3, Sportster 4, Starmate 3 and Stratus radios all featuring universal docking capability for easy attachment to home kit and boombox accessories. Ford of Canada: An exclusive factory-installation agreement for SIRIUS to be included in virtually all Ford vehicles sold in Canada by 2008. This umbrella agreement includes Ford, Lincoln, Mercury, Land Rover, Jaguar, Volvo and Aston Martin vehicle brands. BMW Canada: An exclusive agreement that will make SIRIUS a factory and dealer option for all BMW vehicles sold in Canada. By 2007, all BMW models sold in Canada will be SIRIUS Satellite-ready. DaimlerChrysler Canada: An exclusive factory option on most 2007 Chrysler, Dodge and Jeep brand vehicles. Subaru Canada: SIRIUS is currently offered in two Subaru models as a factory-approved option, in 2007 Forester and Impreza models. Hertz Canada: SIRIUS Canada was the first satellite radio provider in Canada to form a partnership with a leading rental vehicle company. SIRIUS Satellite Radio is currently available in Hertz vehicles at Vancouver, Toronto and Montreal airport locations. Canadian Automobile Association: SIRIUS Canada is the official satellite radio partner of the Canadian Automobile Association and its 4.9 million members country-wide. From broadcast studios in Vancouver, Toronto, Montreal and New York, SIRIUS Canada delivers 110 premium channels of the best commercial-free music plus leading sports, news, talk and entertainment programming. With a total of 65 commercial-free music channels – the most in Canada - SIRIUS is the original and only home of 100% commercial-free music. SIRIUS offers the broadest range of Canadian content on satellite radio with 11 English and French channels. SIRIUS Canada is the Official Satellite Radio Partner of the CFL, NHL, NFL and NBA and broadcasts live play-by-play games of the CFL, NHL, NFL and NBA. In addition, SIRIUS Satellite Radio is home to broadcasts of U.S. College Football, English Premier League Soccer and coming in 2007 – NASCAR. In Canada, SIRIUS’ automotive partners include Aston Martin, BMW, Chrysler, Dodge, Ford, Jaguar, Jeep, Land Rover, Lincoln, Subaru and Volvo. For more information please visit: http://www.siriuscanada.ca/.